News From Mars: Curiosity Celebrates 2 Years! Earlier this month, Curiosity marked its second year on the Red Planet, and this anniversary comes amidst plenty of exciting news and developments. 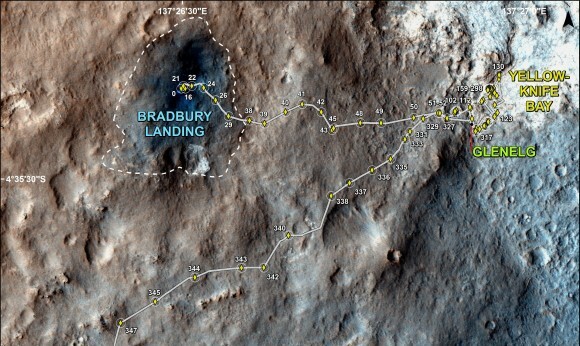 Ever since the rover touched down at the Bradbury Landing site inside the Gale Crater on August 5, 2012 at 10:31 pm PDT (August 6, 05:31 GMT), it has been busily searching for signs that life once existed on Earth’s neighbor. And as it enters into its third year of exploration, it is getting closer to accomplishing this lofty goal. The nuclear-powered explorer is the largest, most advanced rover ever built. And since nothing like it had ever flown before and the maintenance facility was over 160 million kilometers (1oo million miles) away, the first months that Curiosity spent on Mars involved an array of system tests before it took it first tentative rolls across the Martian sands on its roundabout path to Mount Sharp. Curiosity’s main mission was to find out if there are any places on Mars where life could have once existed – specifically, areas displaying minerals and geology that could have been produced by water. The Bradbury Landing site, where it touched down, turned out to be very close to an ancient dried lake bed in an area named Yellowknife Bay. According to NASA, this lake bed may have been able to sustain microbial life billions of years ago. And then, barely six months after landing, the scientists struck gold when they drilled into a rock outcrop named “John Klein” at Yellowknife Bay and unexpectedly discovered the clay bearing minerals on the crater floor. 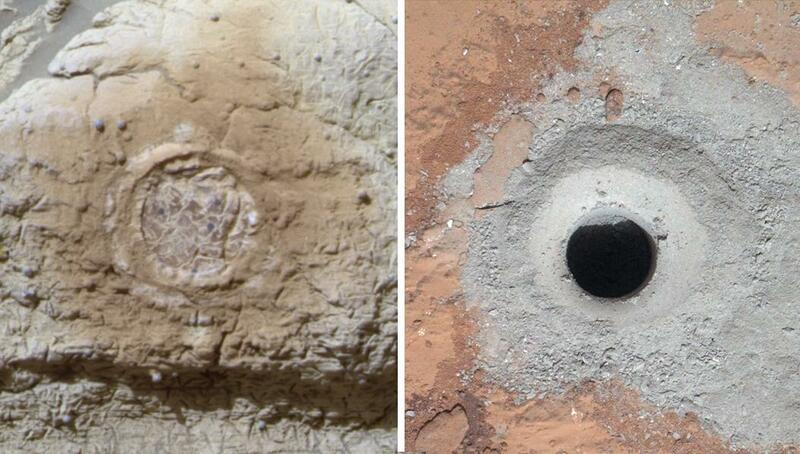 This was the first instance of Curiosity finding clay-bearing minerals. or phyllosilicates, which are a key sign that organic molecules could exist on the planet. Before landing, we expected that we would need to drive much farther before answering that habitability question. We were able to take advantage of landing very close to an ancient streambed and lake. Now we want to learn more about how environmental conditions on Mars evolved, and we know where to go to do that. Compared to its first year, which was marked by many firsts – such as the first drilling operation on Mars, the first laser firing, and first UV night scans – Curiosity’s second year on the Red Planet has been more routine. However, it hasn’t been without its share of excitement. In February, the rover cleared a dune that blocked its progress and in July it negotiated a detour around rocky terrain at Zabriskie Plateau. However, by far, the majority of the rovers second Earth year on the Red Planet has been spent driving as fast as possible towards a safe entry point to the slopes of Mount Sharp. To date, Curiosity’s odometer totals over 9.0 kilometers (5.5 miles) since landing inside Gale Crater on Mars in August 2012, and her on board camera has snapped over 174,000 images – many of which have been transformed into panoramic shots of the surface. The desired destination for the rover is now about 3 kms (2 miles) southwest of its current location. This consists of a bedrock unit that for the first time is actually part of the humongous mountain known as Mount Sharp. 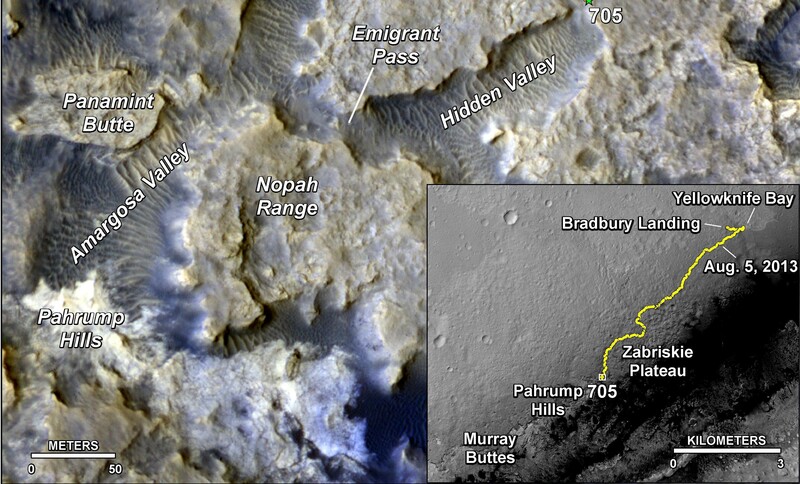 As the primary destination on her ongoing mission, this layered mountain in the Gale Crater towers 5.5 kilometers (3.4 miles) into the Martian sky, and is believed to hold the most compelling evidence of life yet. The sedimentary layers in the lower slopes of Mount Sharp are the principal reason why the science team specifically chose Gale Crater as the primary landing site. Using high resolution spectral observations collected by NASA’s powerful Mars Reconnaissance Orbiter (MRO), they were able to determine the presence of deposits of clay-bearing minerals. or phyllosilicates, a key sign that organic molecules could exist on the planet. In late July of this year, the rover arrived in an area of sandy terrain called “Hidden Valley” which is on the planned route ahead leading to “Pahrump Hills”. Scientists anticipated that the outcrops here would offer a preview of a geological unit that is part of the base of Mount Sharp for the first time since landing. 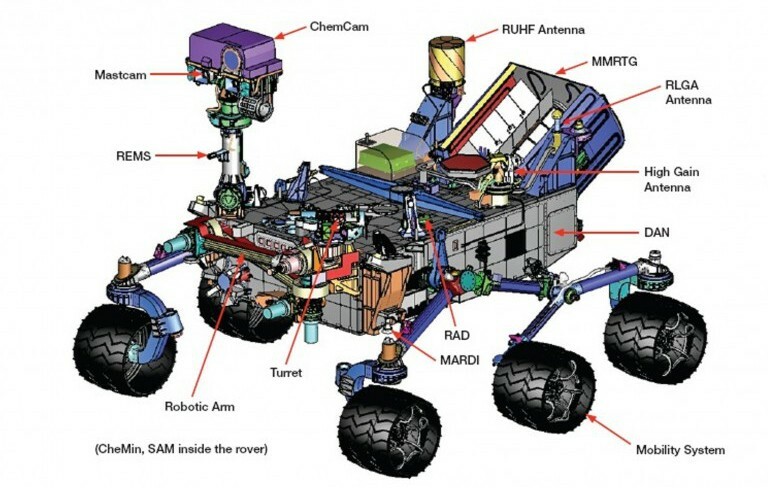 However, the sharp edged rocks caused significant damage to the rovers six aluminum wheels, forcing it to make a detour. This detour will take Curiosity to a similar site called “Bonanza King” to carry out its fourth drilling mission. According to NASA, this is no great loss because the two areas are geologically connected and the space agency is keen to look at a formation that is different from the crater floor formations encountered so far. Engineers are studying Bonanza King to see if its is suitable for drilling by assessing whether or not the plates seen on the surface are loose. Godspeed, little rover! And I do hope that it finds the long-sought-after organic particles it has been looking for since the mission began. 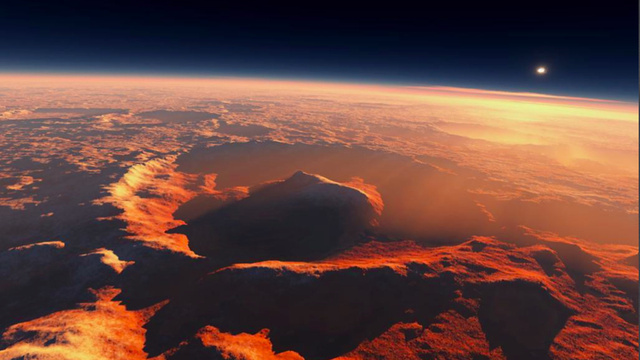 This discovery will not only show that life once existed on Mars (and still does in some capacity) it will also be one of the greatest scientific finds of all time, and maybe even serve as the starting point for ensuring that it can exist again. 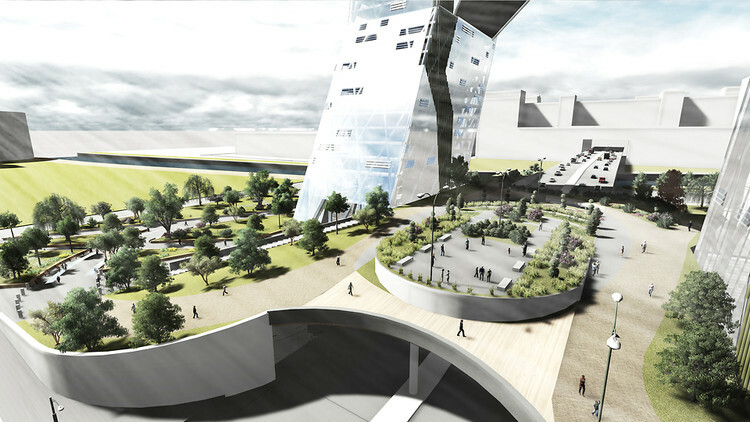 Today, we are on the verge of a fabrication revolution. 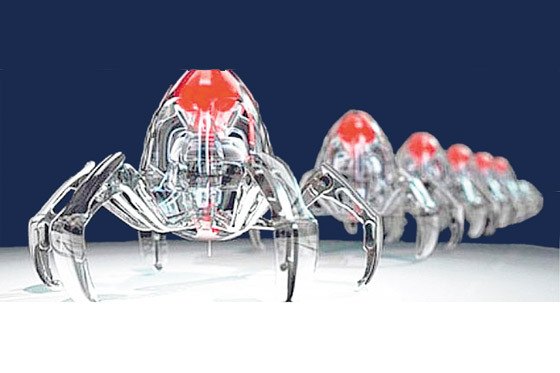 Thanks to developments in nanofabrication and miniaturization, where materials can be fashioned down the cellular (or even atomic) level, the option of making bigger and stronger structures that happen to weight less is becoming a reality. This is the goal of materials scientist Julia Greer and her research lab at Caltech. As an example, Greer offers the The Great Pyramid of Giza and the Eiffel Tower. The former is 174 meters tall and weighs 10 megatons while the latter is over twice that height, but at five and half kilotons is one-tenth the mass. It all comes down to the “elements of architecture”, which allowed the Eiffel Tower to be stronger and more lightweight while using far less materials. Whereas the pyramids are four solid walls, the Eiffel Tower is skeletal, and vastly more efficient as a result. 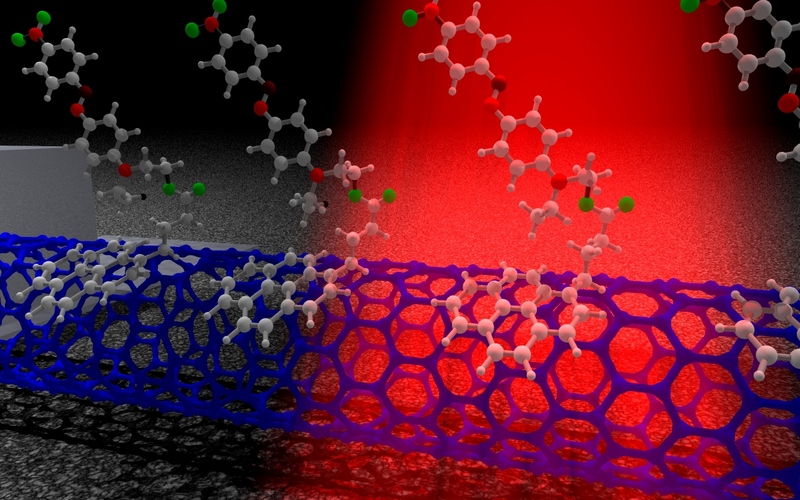 Greer and her colleagues are trying to make the same sort of leap on a nano scale, engineering hollow materials that are fantastically lightweight while remaining every bit as stiff and strong. 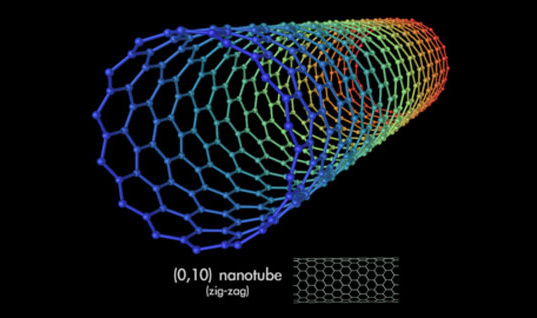 Carbon nanotubes are one such example, but the range of possibilities are immense and due to explode in the near future. 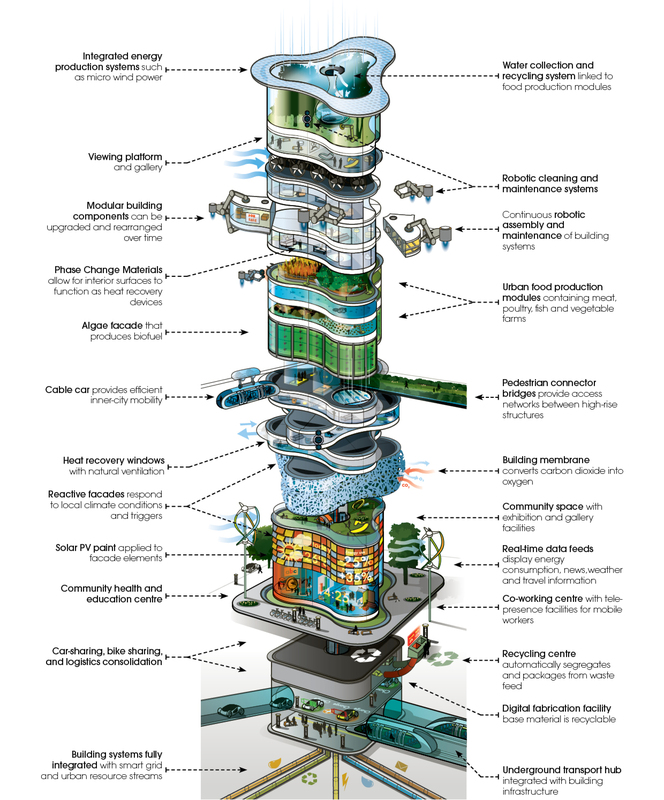 The applications for this “Hierarchical Design” are also myriad, but its impact could be profound. For one, these ultralight wonders offer a chance to drastically reduce our reliance on fossil fuels, allowing us to make familiar goods with less raw stuff. 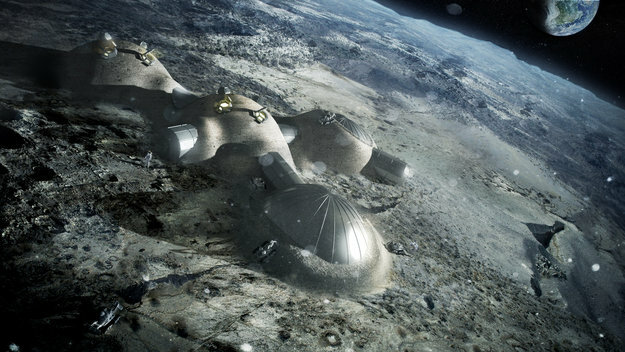 But they also could also expand our idea of what’s possible with material science, opening doors to designs that are inconceivable today. The new year is literally right around the corner, folks. And I thought what better way to celebrate 2013 than by acknowledging its many scientific breakthroughs. And there were so many to be had – ranging in fields from bioresearch and medicine, space and extra-terrestrial exploration, computing and robotics, and biology and anthropology – that I couldn’t possibly do them all justice. Luckily, I have found a lovely, condensed list which managed to capture what are arguably the biggest hits of the year. Many of these were ones I managed to write about as they were happening, and many were not. But that’s what’s good about retrospectives, they make us take account of things we missed and what we might like to catch up on. And of course, I threw in a few stories that weren’t included, but which I felt belonged. 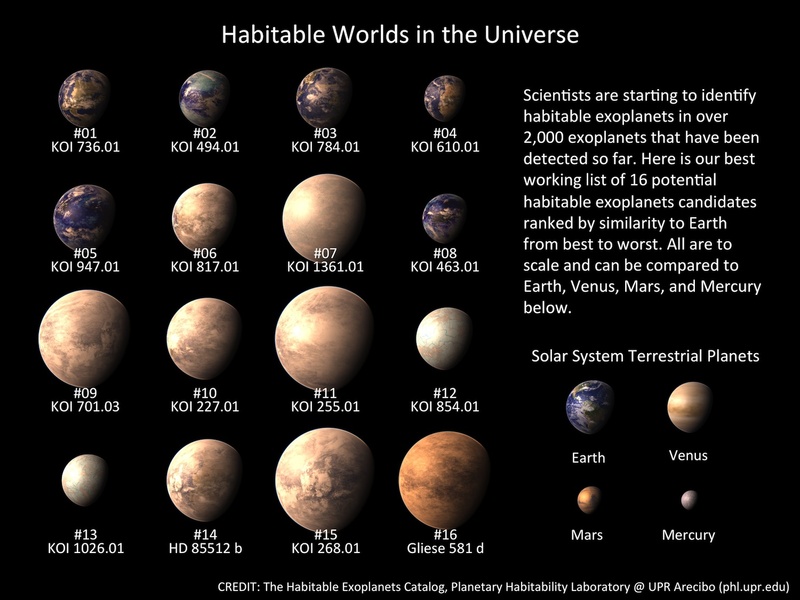 After years of planet hunting, scientists were able to determine from all the data gathered by the Kepler space probe that there could be as many as 2 billion potentially habitable exoplanets in our galaxy. This is the equivalent of roughly 22% of the Milky Way Galaxy, with the nearest being just 12 light years away (Tau Ceti). The astronomers’ results, which were published in October of 2013, showed that roughly one in five sunlike stars harbor Earth-size planets orbiting in their habitable zones, much higher than previously thought. In February of 2013, scientists announced that they had successfully established an electronic link between the brains of two rats. Even when the animals were separated by thousands of kms distance, signals from the mind of one could help the second solve basic puzzles in real time. By July, a connection was made between the minds of a human and a rat. 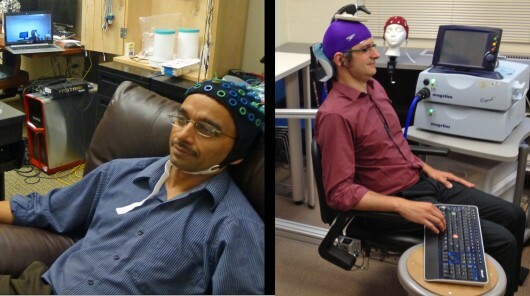 And by August, two researchers at the Washington University in St. Louis were able to demonstrate that signals could be transmitted between two human brains, effectively making brain-to-brain interfacing (BBI), and not just brain computer interfacing (BCI) truly possible. In February of this year, geologists from the University of Oslo reported that a small precambrian continent known as Mauritia had been found. 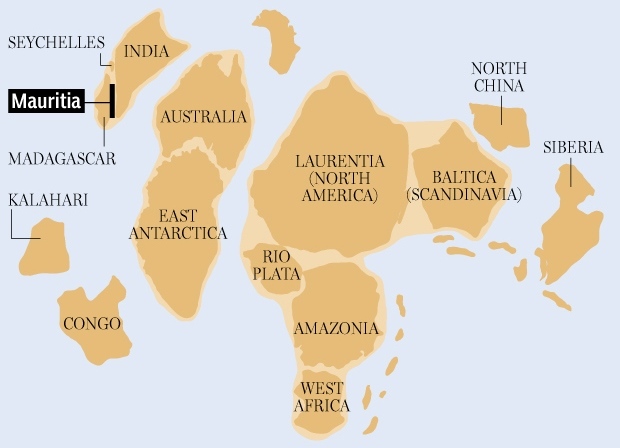 At one time, this continent resided between Madagascar and India, but was then pushed beneath the ocean by a multi-million-year breakup spurred by tectonic rifts and a yawning sea-floor. But now, volcanic activity has driven the remnants of the long-lost continent right through to the Earth’s surface. Not only is this an incredibly rare find, the arrival of this continent to the surface has given geologists a chance to study lava sands and minerals which are millions and even billions of years old. In addition to the volcanic lava sands, the majority of which are around 9 million years old, the Oslo team also found deposits of zircon xenocryst that were anywhere from 660 million to 1.97 billion years old. Studies of these and the land mass will help us learn more about Earth’s deep past. For decades, medical researchers and scientists have been looking to create a vaccine that could prevent one from being infected with HIV. But in 2013, they not developed several vaccines that demonstrated this ability, but went a step further and found several potential cures. The first bit of news came in March, when researchers at Caltech demonstrated using HIV antibodies and an approach known as Vectored ImmunoProphylaxis (VIP) that it was possible to block the virus. Then came the SAV001 vaccine from the Schulich School of Medicine & Dentistry at Western University in London, Ontario, which aced clinical trials. 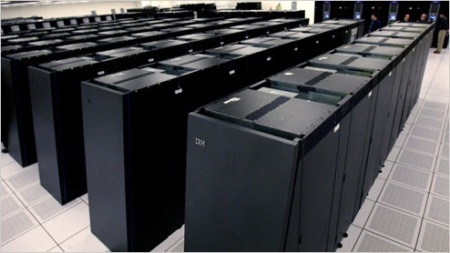 This was punctuated by researchers at the University of Illinois’, who in May used the “Blue Waters” supercomputer to developed a new series of computer models to get at the heart of the virus. But even more impressive was the range of potential cures that were developed. The first came in March, where researchers at the Washington University School of Medicine in St. Louis that a solution of bee venom and nanoparticles was capable of killing off the virus, but leaving surrounding tissue unharmed. The second came in the same month, when doctors from Johns Hopkins University Medical School were able to cure a child of HIV thanks to the very early use of antiretroviral therapy (ART). And in September, two major developments occurred. The first came from Rutgers New Jersey Medical School, where researchers showed that an antiviral foot cream called Ciclopirox was capable of eradicating infectious HIV when applied to cell cultures of the virus. The second came from the Vaccine and Gene Therapy Institute at the Oregon Health and Science University (OHSU), where researchers developed a vaccine that was also able to cure HIV in about 50% of test subjects. 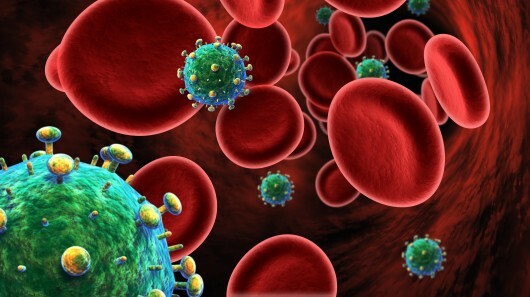 Taken together, these developments may signal the beginning of the end of the HIV pandemic. The discovery of an incredibly well-preserved skull from Dmanisi, Georgia has made anthropologists rethink human evolution. This 1.8 million-year old skull has basically suggested that our evolutionary tree may have fewer branches than previously thought. 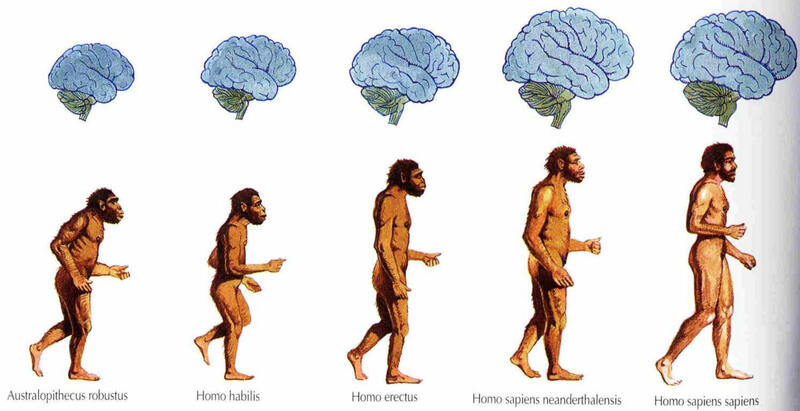 Compared with other skulls discovered nearby, it suggests that the earliest known members of the Homo genus (H. habilis, H.rudolfensis and H. erectus) may not have been distinct, coexisting species, but instead were part of a single, evolving lineage that eventually gave rise to modern humans. Over the past two years, the Curiosity and Opportunity rovers have provided a seemingly endless stream of scientific revelations. But in March of 2013, NASA scientists released perhaps the most compelling evidence to date that the Red Planet was once capable of harboring life. This consisted of drilling samples out of the sedimentary rock in a river bed in the area known as Yellowknife Bay. 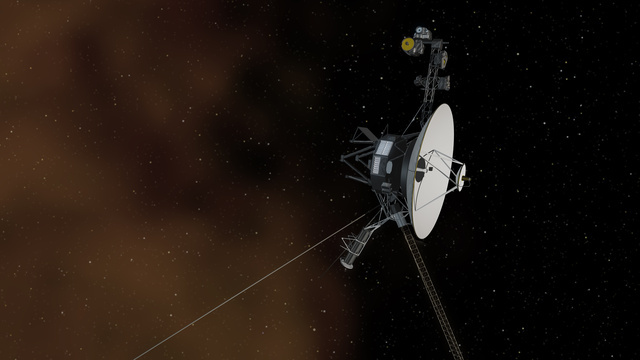 Using its battery of onboard instruments, NASA scientists were able to detect some of the critical elements required for life – including sulfur, nitrogen, hydrogen, oxygen, phosphorus, and carbon. 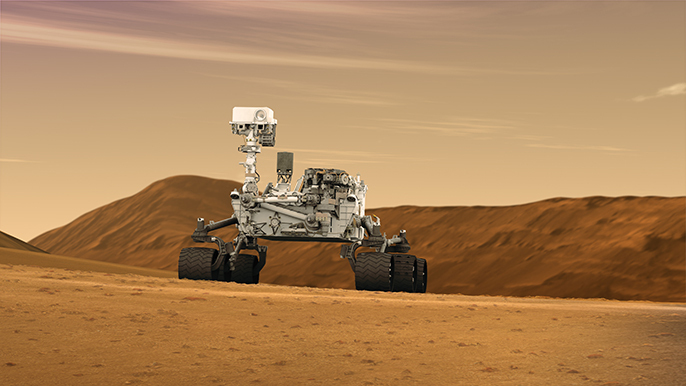 The rover is currently on a trek to its primary scientific target – a three-mile-high peak at the center of Gale Crater named Mount Sharp – where it will attempt to further reinforce its findings. Since its inception as a science, neuroanatomy – the study of the brain’s functions and makeup – has been hampered by the fact that the brain is composed of “grey matter”. For one, microscopes cannot look beyond a millimeter into biological matter before images in the viewfinder get blurry. And the common technique of “sectioning” – where a brain is frozen in liquid nitrogen and then sliced into thin sheets for analysis – results in tissue being deformed, connections being severed, and information being lost. But a new technique, known as CLARITY, works by stripping away all of a tissue’s light-scattering lipids, while leaving all of its significant structures – i.e. 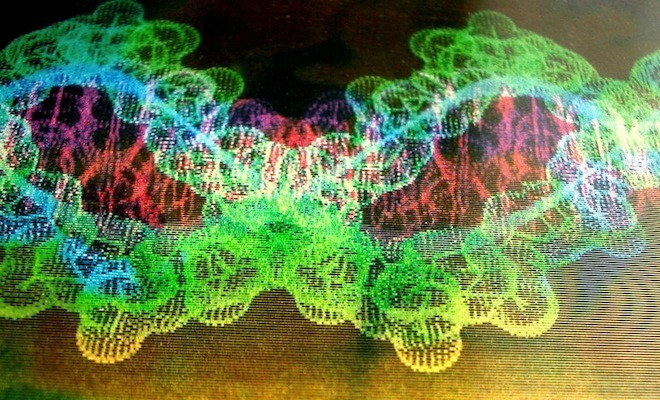 neurons, synapses, proteins and DNA – intact and in place. Given that this solution will allow researchers to study samples of the brains without having to cut them up, it is already being hailed as one of the most important advances for neuroanatomy in decades. In April of this year, physicists working at the IceCube South Pole Observatory took part in an expedition which drilled a hole some 2.4 km (1.5 mile) hole deep into an Antarctic glacier. At the bottom of this hole, they managed to capture 28 neutrinos, a mysterious and extremely powerful subatomic particle that can pass straight through solid matter. But the real kicker was the fact that these particles likely originated from beyond our solar system – and possibly even our galaxy. 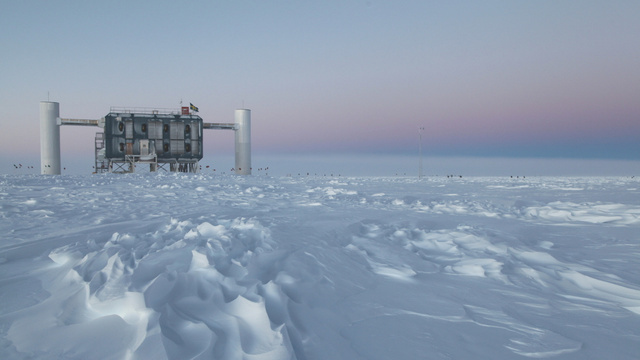 That was impressive in and off itself, but was made even more so when it was learned that these particular neutrinos are over a billion times more powerful than the ones originating from our sun. So whatever created them would have had to have been cataclysmicly powerful – such as a supernova explosion. 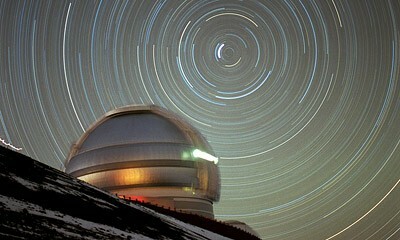 This find, combined with the detection technique used to find them, has ushered in a new age of astronomy. Ever since Dolly the sheep was cloned via somatic cell nuclear transfer, scientists have wondered if a similar technique could be used to produce human embryonic stem cells. And as of May, researchers at Oregon Health and Science University managed to do just that. This development is not only a step toward developing replacement tissue to treat diseases, but one that might also hasten the day when it will be possible to create cloned, human babies. In May of this year, after years of research and hundred of thousands of dollars invested, researchers at the University of Maastricht in the Netherlands created the world’s first in vitro burgers. 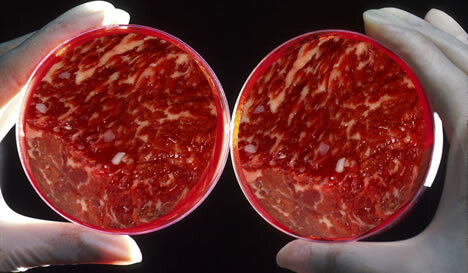 The burgers were fashioned from stem cells taken from a cow’s neck which were placed in growth medium, grown into strips of muscle tissue, and then assembled into a burger. This development may prove to be a viable solution to world hunger, especially in the coming decades as the world’s population increases by several billion. If 2012 will be remembered as the year that the Higgs Boson was finally discovered, 2013 will forever be remembered as the year of the Amplituhedron. After many decades of trying to reformulate quantum field theory to account for gravity, scientists at Harvard University discovered of a jewel-like geometric object that they believe will not only simplify quantum science, but forever alters our understanding of the universe. 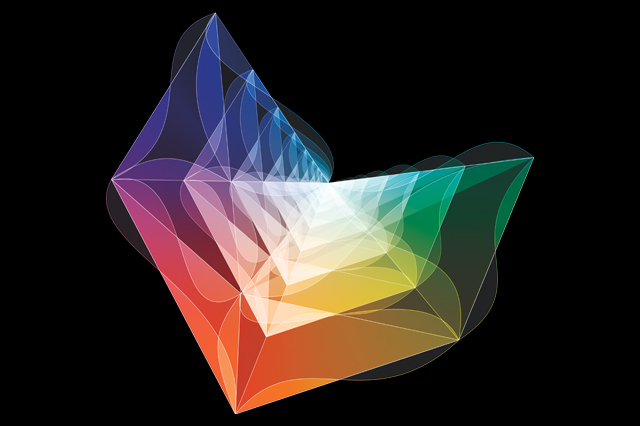 This geometric shape, which is a representation of the coherent mathematical structure behind quantum field theory, has simplified scientists’ notions of the universe by postulating that space and time are not fundamental components of reality, but merely consequences of the”jewel’s” geometry. By removing locality and unitarity, this discovery may finally lead to an explanation as to how all the fundamental forces of the universe coexist. These forces are weak nuclear forces, strong nuclear forces, electromagnetism and gravity. For decades, scientists have been forced to treat them according to separate principles – using Quantum Field Theory to explain the first three, and General Relativity to explain gravity. 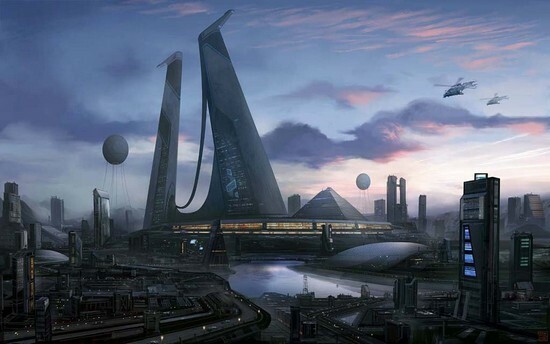 But now, a Grand Unifying Theory or Theory of Everything may actually be possible. 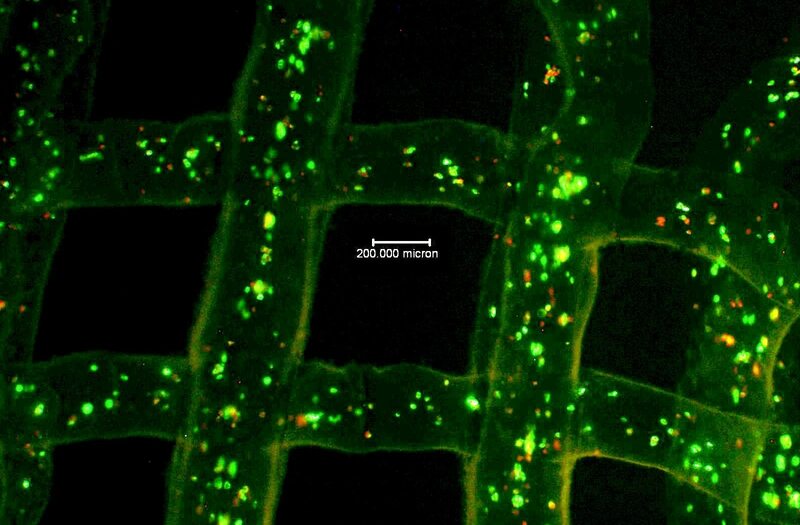 The year of 2013 was also a boon year for bioprinting – namely, using the technology of additive manufacturing to create samples of living tissue. 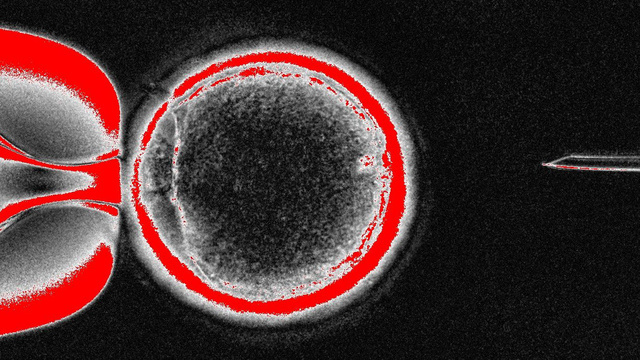 This began in earnest in February, where a team of researchers at Heriot-Watt University in Scotland used a new printing technique to deposit live embryonic stem cells onto a surface in a specific pattern. Using this process, they were able to create entire cultures of tissue which could be morphed into specific types of tissue. Later that month, researchers at Cornell University used a technique known as “high-fidelity tissue engineering” – which involved using artificial living cells deposited by a 3-D printer over shaped cow cartilage – to create a replacement human ear. This was followed some months later in April when a San Diego-based firm named Organova announced that they were able to create samples of liver cells using 3D printing technology. And then in August, researchers at Huazhong University of Science and Technology were able to use the same technique create the world first, living kidneys. 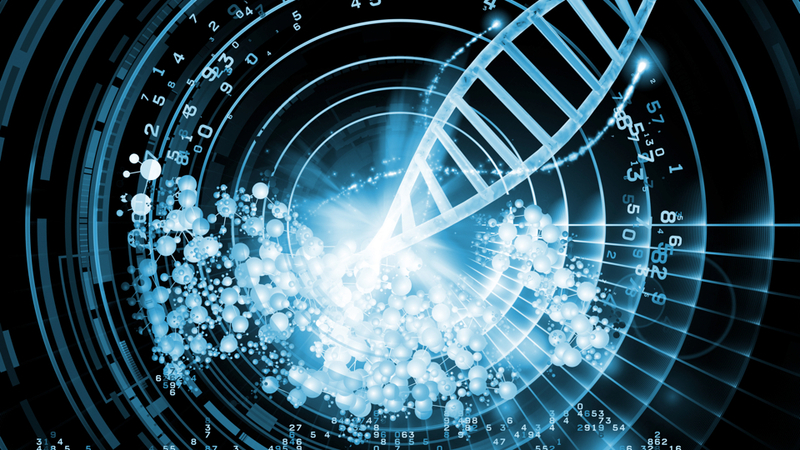 All of this is pointing the way towards a future where human body parts can be created simply by culturing cells from a donor’s DNA, and replacement organs can be synthetically created, revolutionizing medicine forever. If you’re a science buff, or someone who has had to go through life with a physical disability, 2013 was also a very big year for the field of bionic machinery. This consisted not only of machinery that could meld with the human body in order to perform fully-human tasks – thus restoring ambulatory ability to people dealing with disabling injuries or diseases – but also biomimetic machinery. The first took place in February, where researchers from the University of of Tübingen unveiled the world’s first high-resolution, user-configurable bionic eye. 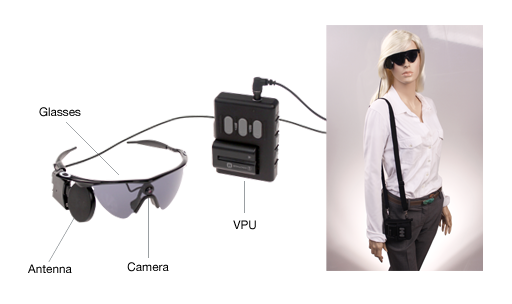 Known officially as the “Alpha IMS retinal prosthesis”, the device helps to restore vision by converted light into electrical signals your retina and then transmitted to the brain via the optic nerve. This was followed in August by the Argus II “retinal prosthetic system” being approved by the FDA, after 20 years of research, for distribution in the US. 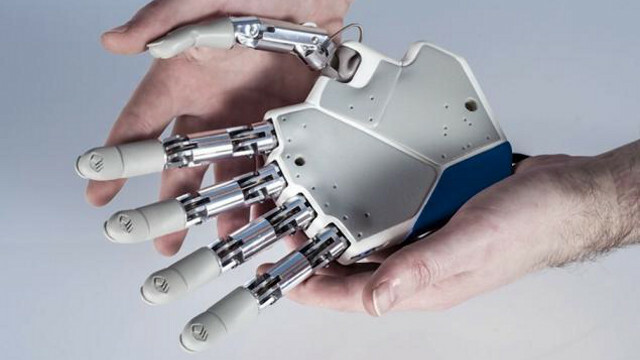 Later that same month, the Ecole Polytechnique Federale de Lausanne in Switzerland unveiled the world’s first sensory prosthetic hand. Whereas existing mind-controlled prosthetic devices used nerve signals from the user to control the movements of the limb, this new device sends electrostimulus to the user’s nerves to simulate the sensation of touch. Then in April, the University of Georgia announced that it had created a brand of “smart skin” – a transparent, flexible film that uses 8000 touch-sensitive transistors – that is just as sensitive as the real thing. In July, researchers in Israel took this a step further, showing how a gold-polyester nanomaterial would be ideal as a material for artificial skin, since it experiences changes in conductivity as it is bent. Another discovery made this year has forced anthropologist to rethink human evolution. This occurred in Spain early in December, where a team from the Max Planck Institute for Evolutionary Anthropology in Leipzig, Germany recovered a 400,000 year-old thigh bone. Initially thought to be a forerunner of the Neanderthal branch of hominids, it was later learned that it belonged to the little-understood branch of hominins known as Denisovans. The discordant findings are leading anthropologists to reconsider the last several hundred thousand years of human evolution. In short, it indicates that there may yet be many extinct human populations that scientists have yet to discover. 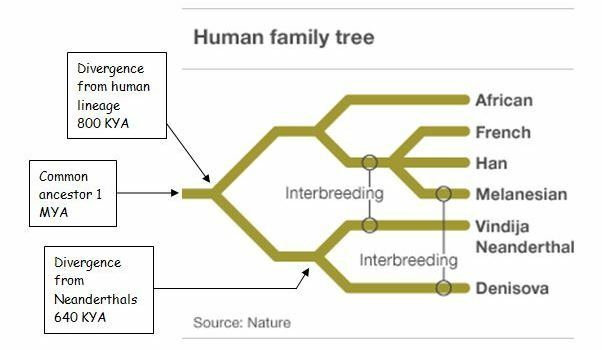 What’s more, there DNA may prove to be part of modern humans genetic makeup, as interbreeding is a possibility. 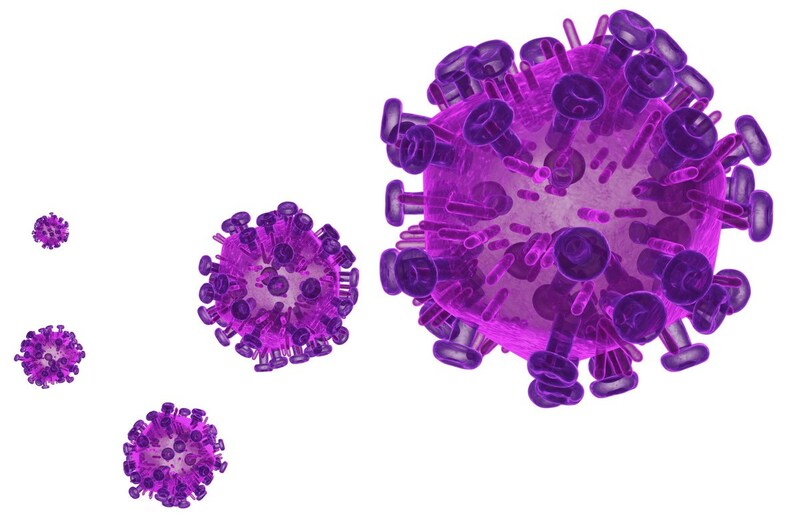 The news that Caltech was developing a potential vaccine for HIV was considered one the biggest stories of 2012. And now, less than a year later, researchers at the Schulich School of Medicine & Dentistry at Western University in London, Ontario have announced that the vaccine not only passed its first round of clinical testing, but even boosted the production of antibodies in patients it was tested on. The SAV001 vaccine is one of only a handful of HIV vaccines in the world, and is based on a genetically-modified ‘dead’ version of the virus. U.S. clinical testing began in the in March 2012, looking at HIV-infected men and women between the ages of 18 and 50. Half the target group was administered a placebo, while the other group was given SAV001. The first phase of trials wrapped up last month, with researchers optimistic about the vaccine’s future. We infect the cells with a genetically modified HIV-1. The infected cells produce lots of virus, which we collect, purify and inactivate so that the vaccine won’t cause AIDS in recipients, but will trigger immune responses. This is the reverse of what researchers at Caltech did, who relied on a technique known as Vectored ImmunoProphylaxis (VIP) to stimulate antibody formation in lab mice. Here too, the researchers received immensely positive results. After introducing up 100 times the amount of HIV virus that what would be required to cause infection, the mice remained protected. By demonstrating that not one, but two different methods of preventing the spread of HIV are effective, we could be looking at turning point in the war on HIV/AIDS. The only question is, when will a vaccine be commercially available? 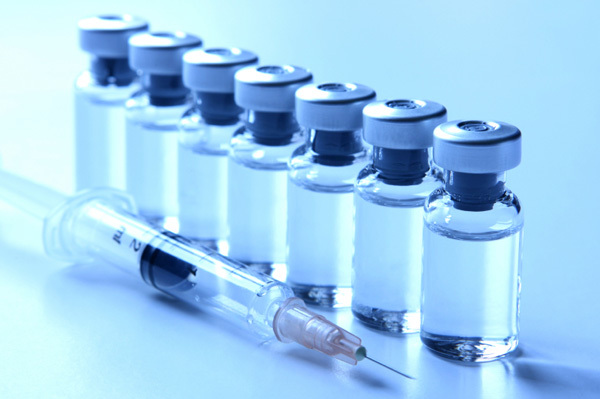 According to Sumagen, the South Korean biotech firm sponsoring the creation vaccine, manufacturing, as well as the USFDA requirements and other bureaucratic hurdles remain to contend with. We are now prepared to take the next steps towards Phase II and Phase III clinical trials. We are opening the gate to pharmaceutical companies, government, and charity organization for collaboration to be one step closer to the first commercialized HIV vaccine. Paired with a possible cure which relies on nanoparticles and bee venom, we could even be looking at the beginning of the end of the pandemic, one which has caused between 25 and 30 million deaths worldwide since its discovery in 1981. 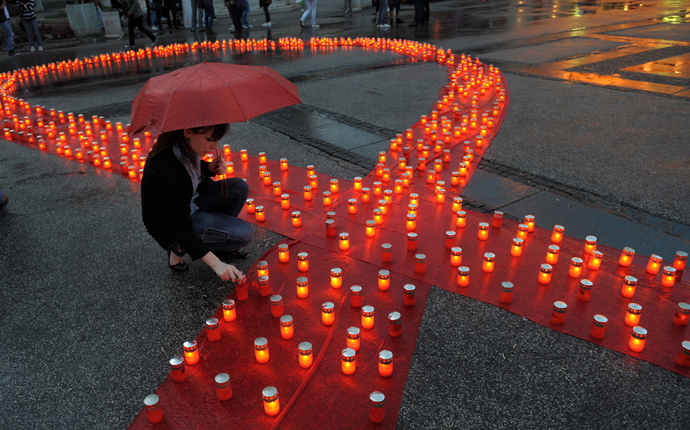 The ongoing fight to end HIV has been a long and arduous one, but progress is being made. In addition to potential treatments being created that have shown promise, there are also efforts being mounted to understand how the virus works at an atomic level. This is great news, for as any practitioner of medicine will tell you, understanding a disease and knowing how to strike at the heart of it is the key to stopping it and making sure future generations don’t have to fear it. In recent years, several major breakthroughs were announced for the treatment of HIV, treatments which many heralded as cures. In January of last year, the Danish Research Council awarded funding to a group of researchers who demonstrated that HIV could be “flushed” from infected cells where it tends to congregate and protect itself. Combined with vaccinations that turbocharge the body’s immune system, this method proved effective at eliminating the HIV virus in infected cells. Another came back in November, when researchers at Caltech were even able to successfully spawn a significant amount of HIV antibodies in lab mice by using a new approach, known as Vectored ImmunoProphylaxis (VIP). An inversion of the traditional vaccination method, this new method produced plenty of HIV-preventing antibodies which they believed could be fashioned into a vaccine. And finally, there were the experiments being conducted over at the Washington University School of Medicine, where researchers designed a solution that employed bee venom and a nanoparticle delivery system. Knowing that bee venom is capable of killing HIV, and that the virus is thousands of times smaller than your average cell, the solution proved quite effective at filtering out the virus and killing it while leaving surrounding tissue unharmed. Taken together, these two proposed solutions have left many thinking a cure is just around the corner. Nevertheless, in order for this virus to truly be beaten, we need to understand it better. Hence why a group of scientists – using the University of Illinois’ “Blue Waters” supercomputer — have developed a new series of computer models that are finally giving researchers an atomic-level look at the formidable barrier mechanism enclosing the heart of the virus. For example, its been known for some time that the HIV virus it’s covered in several layers of protective proteins. But beneath that outer shell resides a conical structure called the capsid, which houses the virus’ payload of genetic material. (See diagram below.) When HIV invades a cell, it’s the capsid that opens up to initiate the takeover process, allowing the virus to replicate inside the healthy host cell. Better understanding of how this mysterious delivery system operates could be one of the final steps to finding a cure. Using the Blue Waters, Schulten and his associates managed to map out the model all 64 million of the capsid’s atoms. Through countless simulations, they also discovered that the capsid’s microscopic outer casing is composed of 216 hexagon-shaped proteins that fit together in a honeycomb formation. These hexagonal structures are what give the capsid it’s tough outer shell and allow it to be such a harmful and insidious killer. 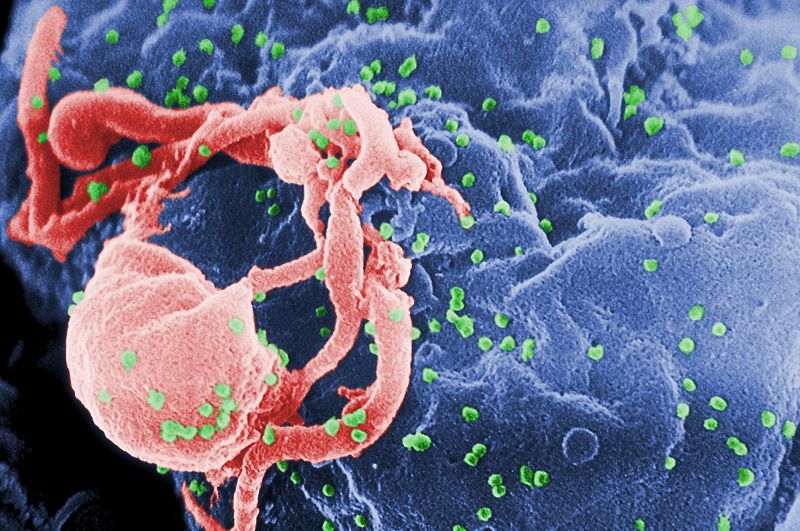 This painstakingly delicate process would have been unthinkable until just a few years ago, and represents the most complete picture of the HIV virus to date. What’s more, knowing what HIV looks like at the atomic level will help scientists to understand the timing of the virus’ delivery system. Since the opening of the virus’ protective layer is when it’s most vulnerable, Schulten and his colleagues hope to determine the precise timing of this event so a treatment can be developed that could attacks the virus at this exact moment. Think of it as throwing a bomb into the mouth of a terrible war machine, right as it opens up its armored maw to bite you! Better yet, think of it as another step on the road to ending one of the greatest plagues humankind has ever had to deal with. Safety for the future, and justice for the victims! It’s one of the cornerstones of the coming technological revolution: machinery that can assemble, upgrade, and/or fix itself without the need for regular maintenance. Such devices would forever put an end to the hassles of repairing computers, replacing components, or having to buy new machines when something vital broke down. And thanks to researchers at Caltech, we now have a microchip that accomplish one of these feats: namely, fix itself. The chip is the work of Ali Hajimiri and a group of Caltech researchers who have managed to create an integrated circuit that, after taking severe damage, can reconfigure itself in such a way where it can still remain functional. This is made possible thanks to a secondary processor that jumps into action when parts of the chip fail or become compromised. 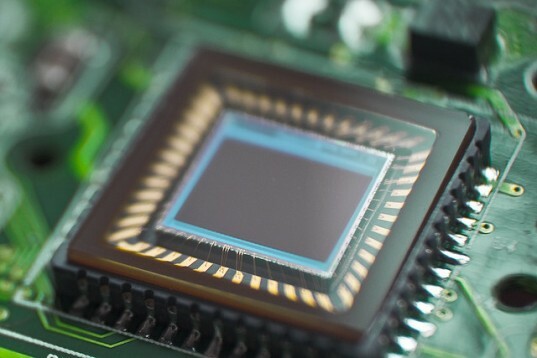 The chip is also able to tweak itself on the fly, and can be programmed to focus more on saving energy or performance speed. In addition, the chip contains 100,000 transistors, as well as various sensors that give it the ability to monitor the unit’s overall health. 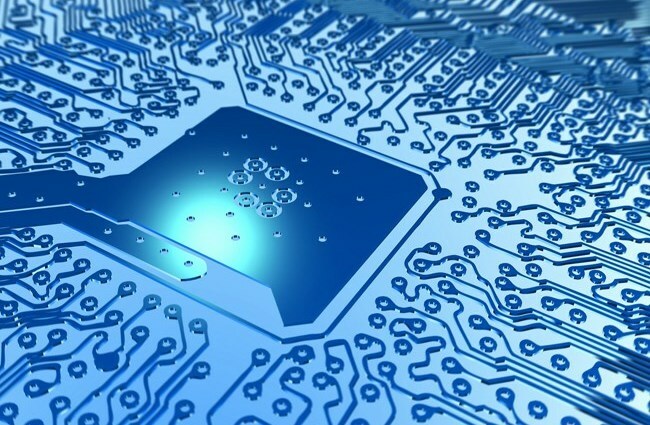 Overall, the microchip is comparable to a power amplifier as well as a microprocessor, the kind of circuit that processes signal transmissions, such as those found in mobile phones, as well as carrying out complex functions. This combined nature is what gives it this self-monitoring ability and ensures that it can keep working where other chips would simply stop. 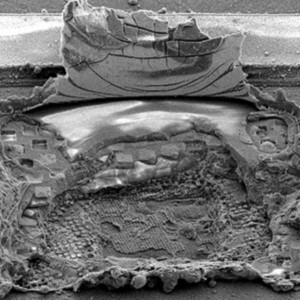 To test the self-healing, self-monitoring attributes of their design, Hajimiri and his team blasted the chip with a laser, effectively destroying half its transistors. It only took the microchip a handful of milliseconds to deal with the loss and move on, which is an impressive feat by any standard. On top of that, the team found that a chip that wasn’t blasted by lasers was able to increase its efficiency by reducing its power consumption by half. Granted, the chip can only fix itself if the secondary processor and at least some of the parts remain intact, but the abilities to self-monitor and tweak itself are still of monumental importance. Not only can the chip monitor itself in order to provide the best possible performance, it can also ensure that it will continue to provide a proper output of data if some of the parts do break down. Looking ahead, Hajimiri has indicated that the technology behind this self-healing circuit can be applied to any other kind of circuit. This is especially good news for people with portable computers, laptops and other devices who have watched them break down because of a hard bump. Not only would this save consumers a significant amount of money on repairs, replacement, and data recovery, it is pointing the way towards a future where embedded repair systems are the norm.